, berlock dermatitis These variants are not proper nouns and are spelled with a lowercase b.
a type of photosensitization resulting in deep brown pigmentation on exposure to sunlight after application of bergamot oil and other essential oils in perfumes and colognes. 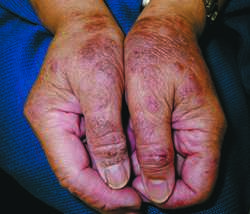 a temporary skin condition, characterized by hyperpigmentation and skin lesions. It is caused by a unique reaction to psoralen-type photosynthesizers, commonly used in perfumes, colognes, and pomades, such as oil of bergamot. Also spelled berloque dermatitis. 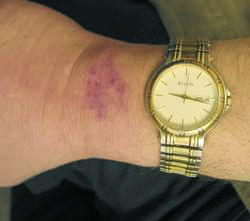 observations Berlock dermatitis commonly produces an acute erythematous reaction, similar to that associated with sunburn. The area affected becomes hyperpigmented and surrounded by darker pigmentation. 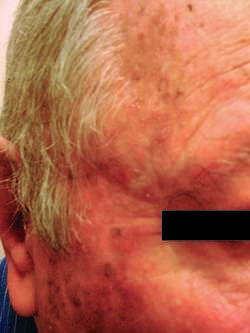 Areas of the neck where perfume containing oil of bergamot is applied often become affected by pendantlike lesions. 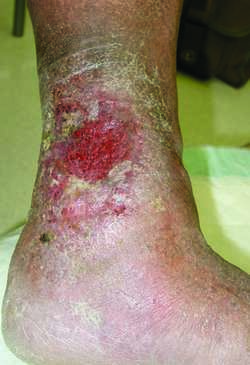 Diagnosis is based on the appearance of such signs and on patient history, which may include recent exposure to psoralens. interventions Treatment seeks to identify and eliminate the cause of the condition. Topical steroids may be administered to relieve discomfort. nursing considerations Patients benefit from advice about the complications of prolonged exposure to sunlight and ultraviolet light. They also appreciate the reassurance that the lesions will vanish within a few months. A type ofphotosensitization resulting in deep brown pigmentation on exposure to sunlight after application of bergamot oil and other essential oils in perfume.